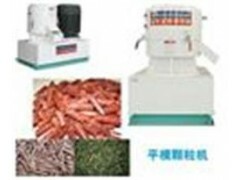 and other pathogenic microorganisms, reducing digestive system disease of poultry. 2. Driven by electric motor makes it more convenient and environmentally friendly. 3.Low consumption, competitive price, long service life. 4. No need to add extra water to the powder feedstock before pelletizing.